Everyone has a story to tell. Taking the time to listen to and learn from the memories and experiences of older generations can be hugely rewarding – for younger and older people alike. At Anchor, the care we provide is shaped by an understanding of people’s life histories. Good care is built on good relationships so the more we know about the person the better the relationships will be. Many of our care homes and retirement housing developments have strong links with local schools, creating great connections across the generations which benefit both older people and children. Those links inspired us to work with education specialists to develop some tools to help others do the same. 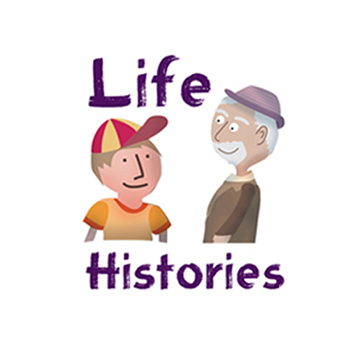 As part of our Life Histories campaign we're launching a nationwide schools initiative and have created a teaching guide that delivers many of the key National Curriculum learning outcomes for children in years five and six, while breaking down the barriers between the young and old. We’ve also developed a guide to help adults compile a life story. In our care homes, compiling life stories helps us see beyond any illnesses or health problems and focus on the uniqueness of the individual to plan and deliver personalised care which honours their preferences. There’s increasing recognition of the impact of loneliness on older people. A simple conversation can make all the difference and research proves that face-to-face contact can help to keep people healthy. Our guide to creating a life story aims to help adults improve their relationship with older people in their lives and find out more about their experiences. We hope these pages help more young people gain from the wisdom of older age and mean a few more older people have their days enriched by the contagious energy of youth.